JUGULA Now At Badger Games! "Joey, do you like movies about gladiators?!?!" 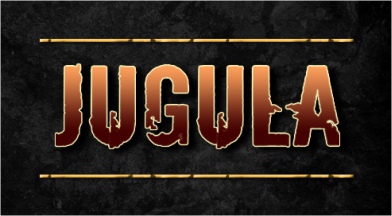 Badger Games is pleased to announce that we are now carrying the complete line of JUGULA miniatures by Gripping Beast and all of the rules, cards and extras, right here in the US. It seems as though at every CON we attend, and we attend a lot, there is at least one great Gladiator game being played. JUGULA is a fantastic set of rules and figures brought to you by the same folks who brought you SAGA rules. If they make it for JUGULA, we carry it. So, why not drop by the site and have a look. And, if you are old enough to get the pop culture reference above (the quotation) drop us an email at [email protected] and let us know what movie it came from. The first five people who do AND mention that they saw our post on The Wargames Website can knock $10 bucks off ANY order of ANY size of ANY JUGULA books, figures or accessories! This entry was posted on Wednesday, August 8th, 2018 at 12:59 and is filed under News. You can follow any responses to this entry through the RSS 2.0 feed. You can skip to the end and leave a response. Pinging is currently not allowed. I had to look that up, but I have seen it.